The space of silence is an infinite landscape. 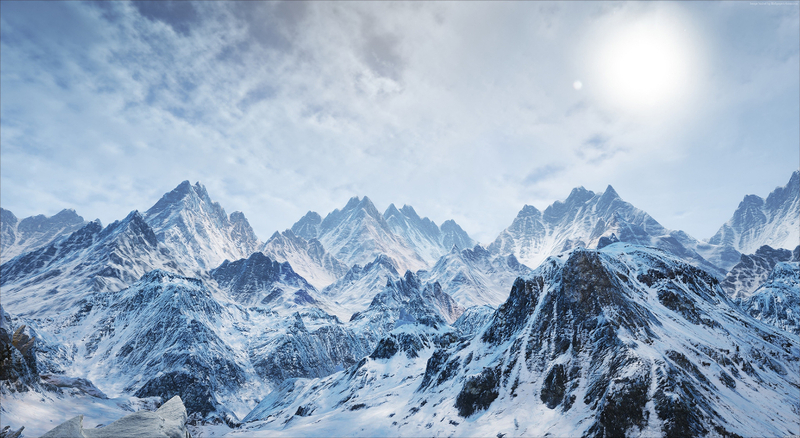 Calm, air, sun, mountains, a paradise for the senses in a privileged setting. 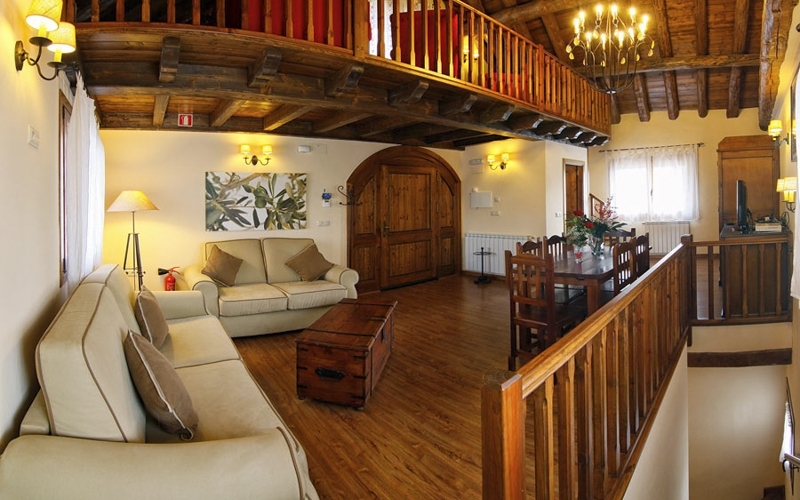 Satué will reconnect you with nature, a refuge for your loftiest dreams at an altitude of 900 m.
Ancient farmhouses for rental as Holiday Homes. Owned by the Albertín family for generations since the 15th century, the houses maintain their original stone walls and wooden structures in a harmonious combination with modern amenities. 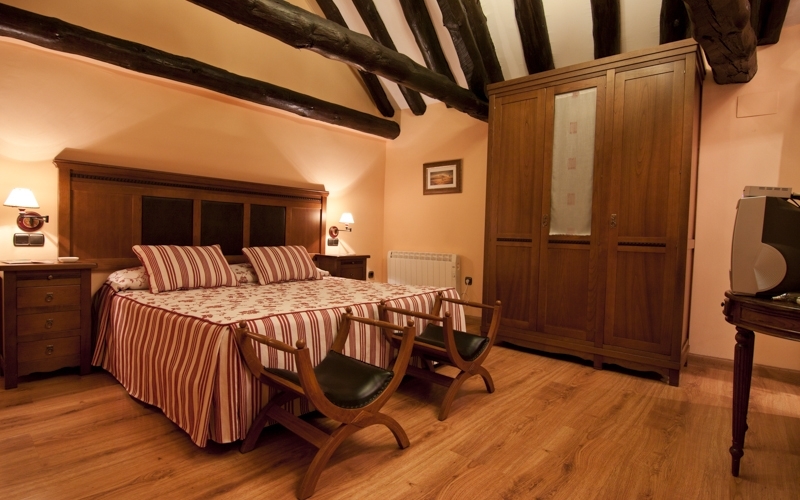 Their outstanding location, in the region of Serrablo, the natural opening to the Tena Valley in the heart of the Pyrenees, will help you relax and enjoy the peace and quiet afforded by the lush landscape. 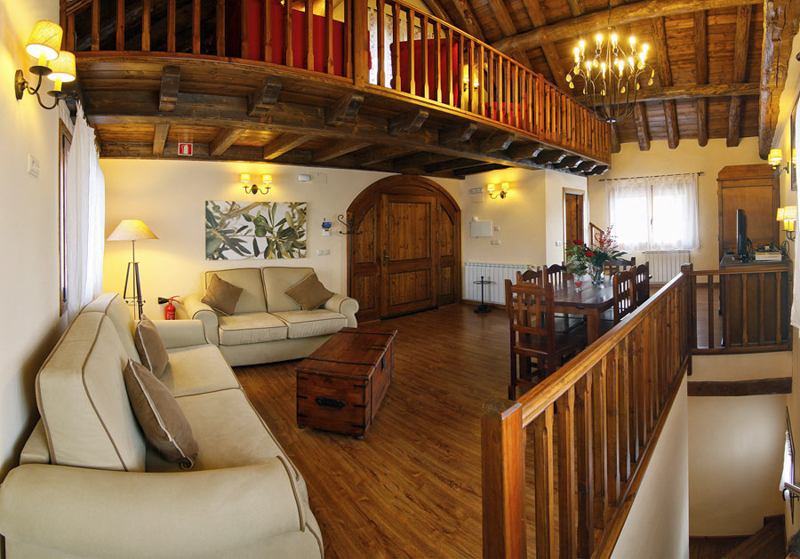 Located only a few miles away from the main Pyrenees resorts, skiing, mountain biking, horse riding and trekking activities, as well as myriad cultural destinations, are easily and conveniently accessible from Satué. 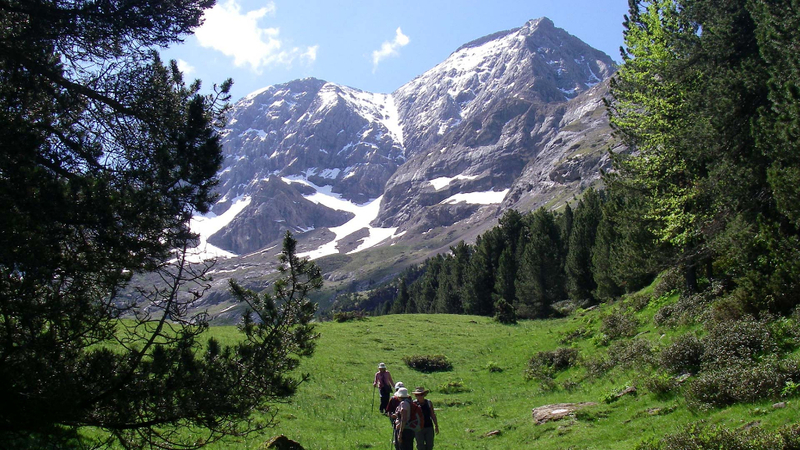 An unforgettable village experience in the Pyrenees. 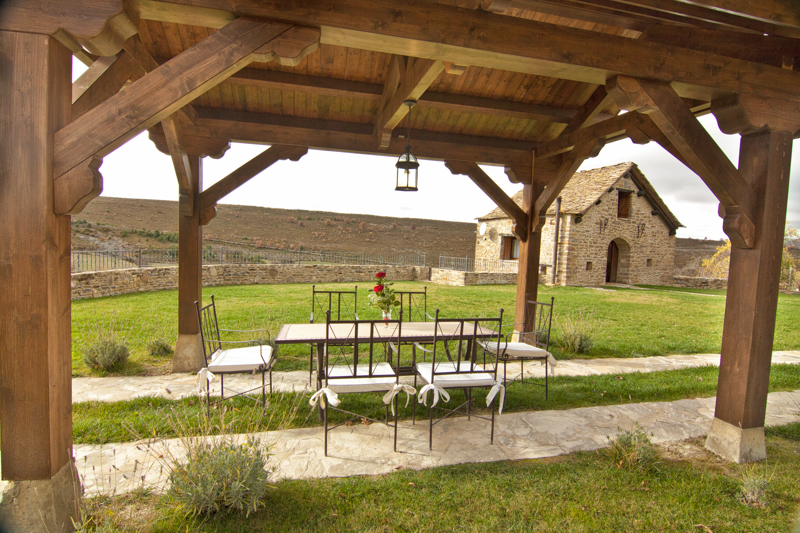 Lovely Aragonese farmhouse built in 1764, it has been fully renovated maintaining original woodwork and stone walls. Two-storey farmhouse with a viewing oriel, living dining room with a sofa bed, open-plan kitchen and full bathroom on ground floor. 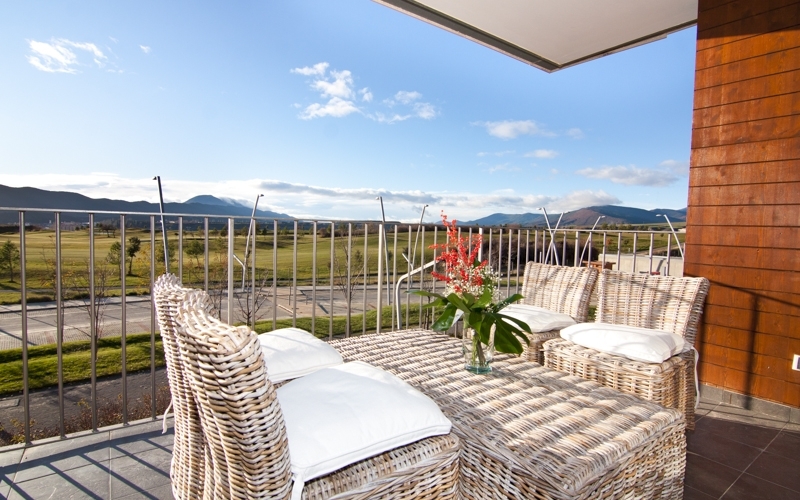 Pretty holiday home located in a residential area near Satué, Las Margas Golf, facing the golf course and with unbeatable views of the Pyrenees.